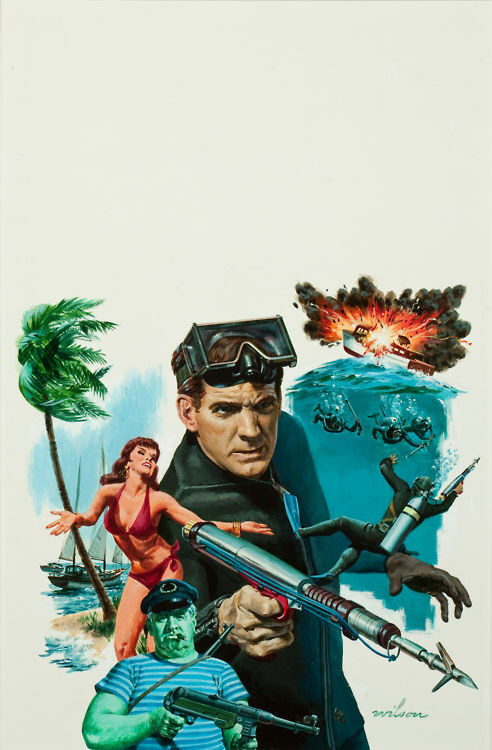 In the final part of our look at spearguns we get right into the action! Nick Carter was "Killmaster", Mack Bolan was "The Executioner" and Remo Williams was "The Destroyer". 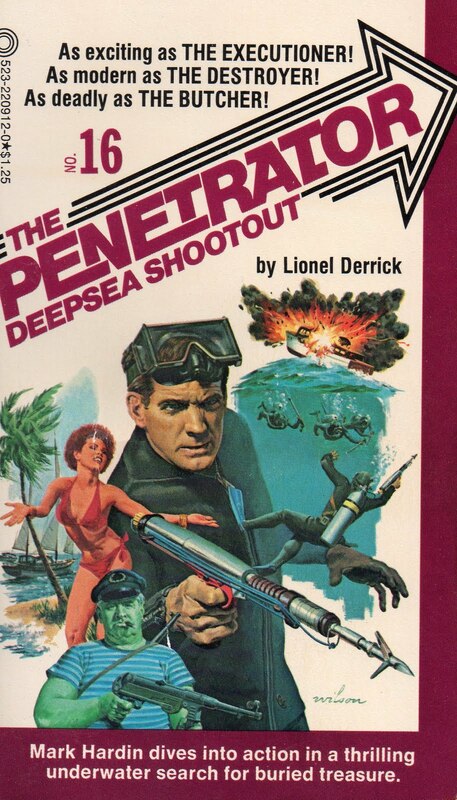 Poor old Mark Hardin must have turned up late to the meeting and got lumbered with "The Penetrator"! Still, he featured in at least 49 books so he must have been doing something right. 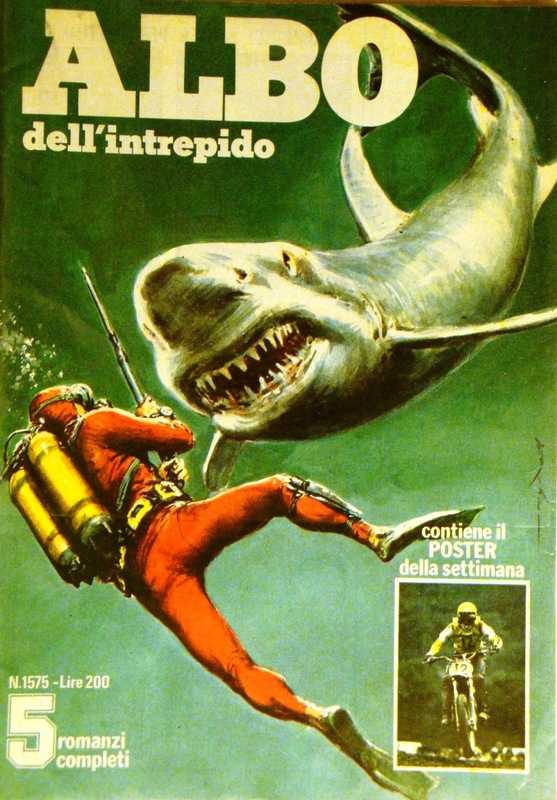 This edition is from 1976 (Click for larger image). George Wilson painted many of the early covers and you can see his original below. Can you spot the difference? If you're interested in series like The Penetrator then I recommend you take a look at the Glorious Trash blog. 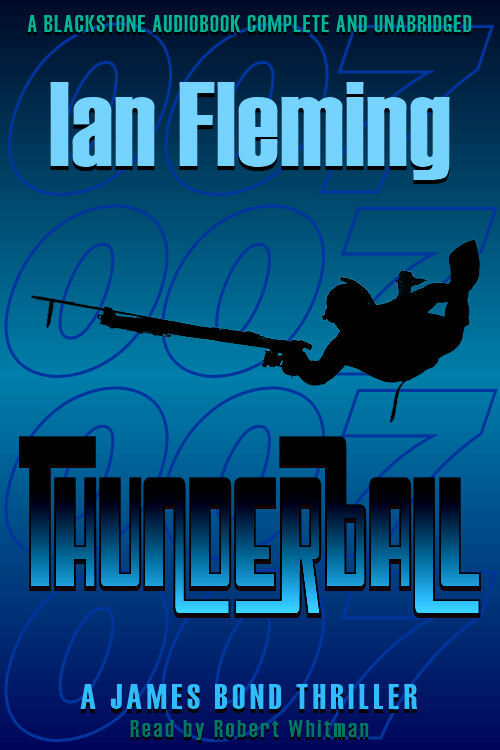 No look at spearguns would be complete without something from 007 so here's a simple but striking audiobook cover of Thunderball by Paul Baack. I think the fella on this 1976 Italian magazine cover is going to need a bigger speargun! (Click for larger image). Deathstroke was originally created as a villain in DC's Teen Titans series but was popular enough to get his own series. 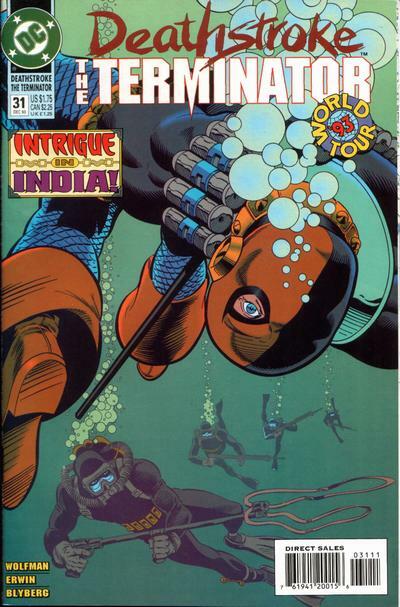 This 1993 cover is by Steve Erwin and Will Blyberg. 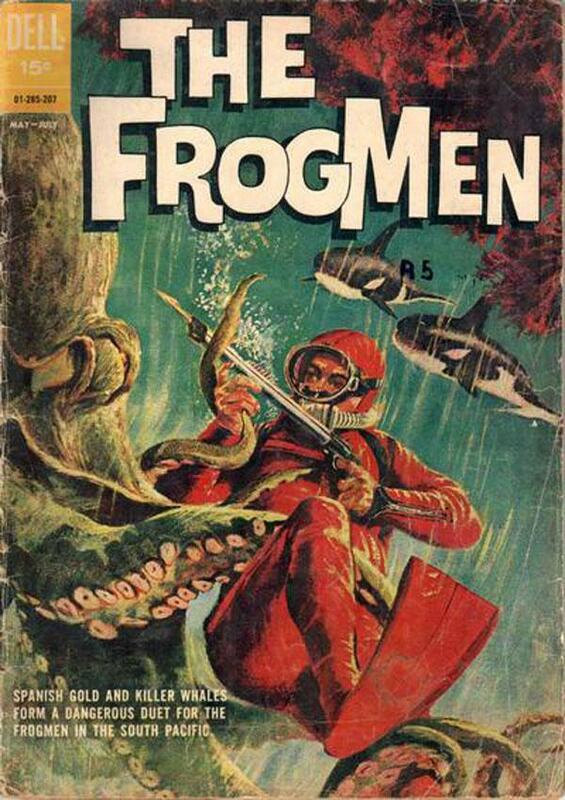 This 1962 cover is by Vic Prezio. 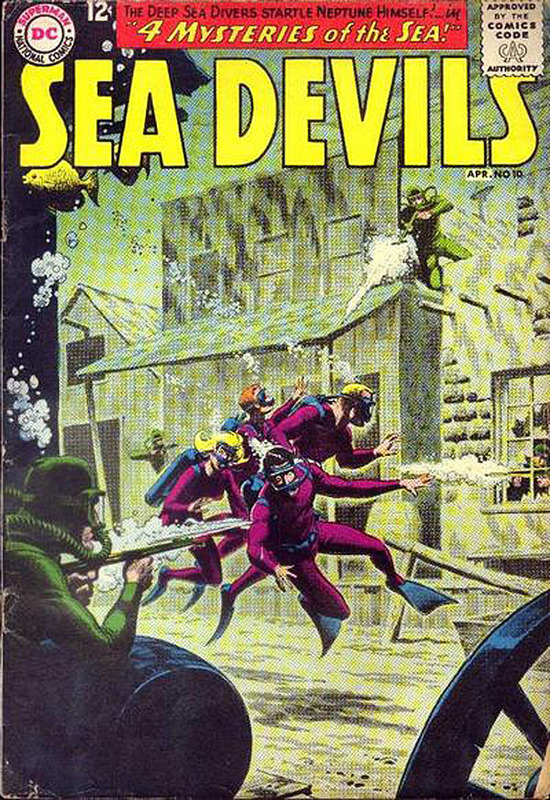 Those plucky Sea Devils have swum straight into an ambush on this 1963 cover by Russ Heath. 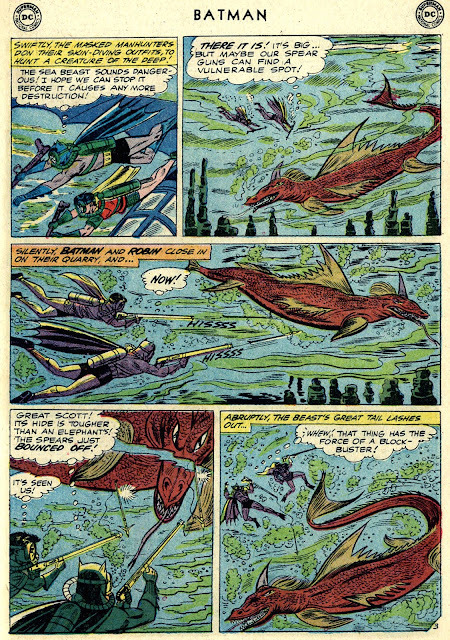 Jack Adler was the colourist and also responsible for the grey washes that add so much atmosphere. The Dark Knight was a distant memory for much of the fifties and sixties with Batman more likely to be found battling aliens and monsters. 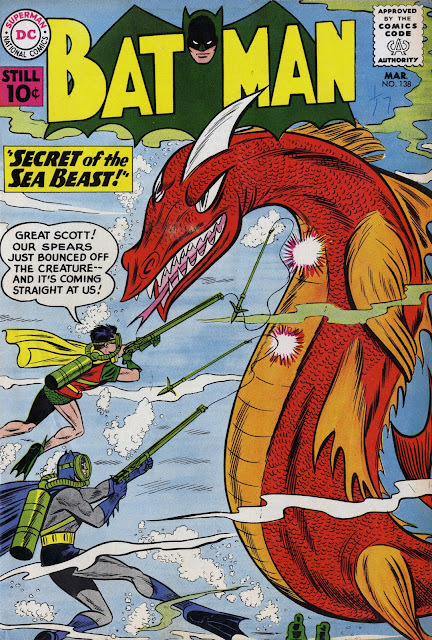 Sheldon Moldoff drew this cover and the story inside. Interior inks by Charles Paris. The story was written by Bill Finger who is finally getting the recognition he deserves as the man who created much of the Batman mythos. 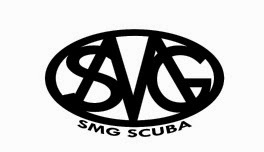 (Click for larger images).